The first two days of the Summer Institute are devoted to the basics: how do you teach at a BASIS Curriculum School? What are the expectations of you as a teacher and your role within the celebrated, high-achieving BASIS Curriculum? Dr. Peter Bezanson, CEO of BASIS.ed, opened up the discussion in his introductory remarks to all attendees. “We hired you because you’re great! And we can’t teach that,” he explained. BASIS Curriculum teachers are trusted to create their own syllabi and schedule within the open framework provided to them by their Subject Advisors (SADs). They are encouraged to always think critically about their lessons and ask themselves, “why are you doing what you are doing?” as Dr. Bezanson asked the crowd of hundreds of educators. BASIS Curriculum Schools co-founders Michael and Olga Block shared their vision with attendees: the goal is nothing less than to be the premier national and international school network. For the Blocks, it always comes back to students – to delivering each student the best possible education, measured according to the highest standards in the world. Following these introductory remarks, teachers gathered in smaller conference rooms, grouped by subject and teaching specialty. In these smaller, more intimate settings, SADs -- the experienced teachers chosen to lead these trainings and mentor peers both before the school year begins, as well as throughout the upcoming school year -- guided their fellow teachers through the practiced, proven, and recommended methods for designing lessons and setting goals within the BASIS Curriculum. 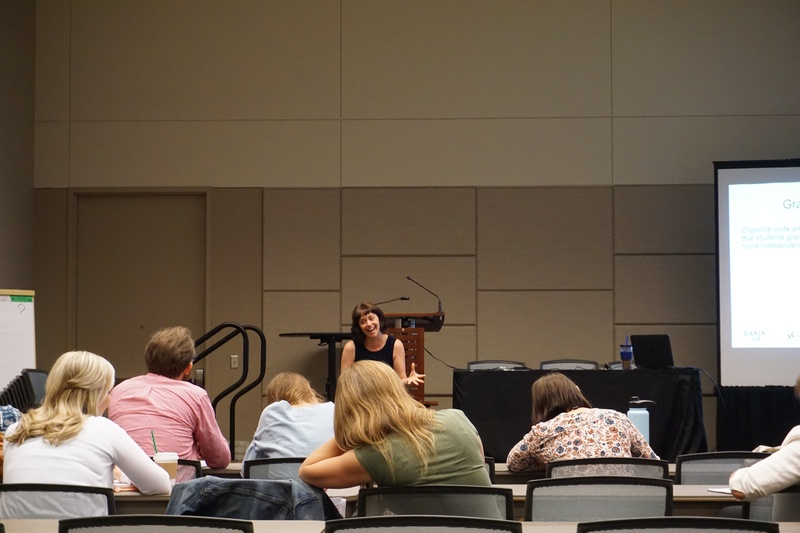 In these sessions, the SADs often model the type of classroom management and teaching tactics they deploy with their students. In the Physical Education breakout session, the SAD began with a set of stretches with which he opens each of his classes, before beginning the curriculum overview. Across the hall of the Phoenix Convention Center, Learning Expert Teachers (LETs) for grades one and two heard a similar statement. “If you have those high expectations, they will meet them,” the SAD said during a session where teachers could ask questions – of any kind -- of their teacher mentors. As the first day wrapped up, teachers began to discuss their curricular and pedagogical plans for the start of the year. The discussions were open, frank, intellectual, and heavy on soliciting peer feedback over how to best present different types of material and achieve learning goals. 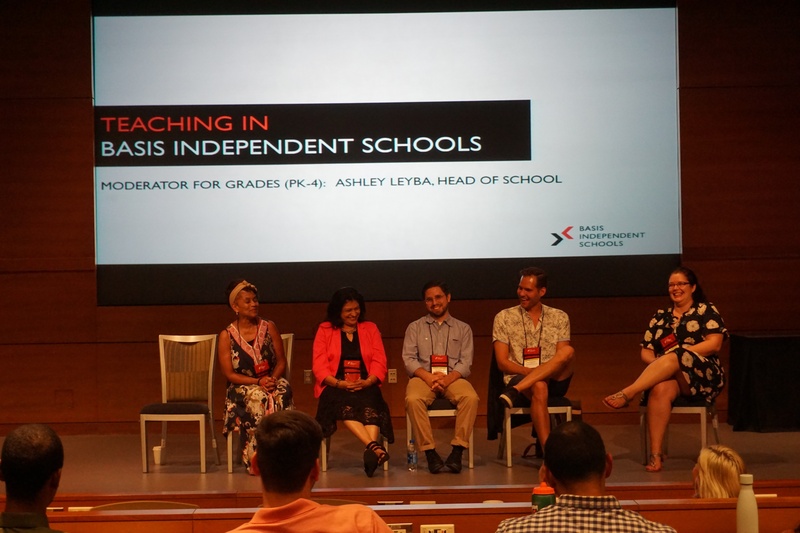 For BASIS Independent teachers, day two of Summer Institute began with panel discussions about the nature of teaching at BASIS Independent Schools. These enlightening panels were led by Dr. Ashley Leyba, the Head of School at BASIS Independent Fremont, who focused on primary students through 4th grade, and Toby Walker, Head of School at BASIS Independent Silicon Valley, who spoke about grades five and up. New teachers were able to ask panels of SADs about their experience working with the freedom, standards, and expectations of the BASIS Curriculum. New primary school teachers in Dr. Leyba’s panel were able to get some insight from veteran peers about unique aspects of the two teacher Subject Expert Teacher (SET)/Learning Expert Teacher (LET) model for 1st through 3rd grades (and sometimes 4th), and what kind of support to expect. In Mr. Walker’s panel, new middle and high school teachers received some wisdom about the BASIS Curriculum’s well-practiced use of AP coursework. “There is no one way to co-teach,” said Brian Bissinger, an SET at BASIS Independent Brooklyn. “I empowered my LET by leaning on them a lot. I needed them, and I deferred to their expertise with that grade,” said Mr. Bissinger. The LET-SET communication that Mr. Burton spoke about is about playing to each other’s strengths, and ensuring these teaching strengths are brought to each student in the classroom. The majority of the second day of Summer Institute was devoted again to breaking out in groups by subject and grade. Teachers reviewed best practices for designing lesson plans and keeping students engaged in a well-managed classroom. The most apparent aspect of Summer Institute is enthusiasm. Educators at BASIS Independent Schools – like our peers across the BASIS Curriculum Schools network – often talk about “the love of learning.” The air in these large ballrooms and smaller meeting rooms at the Phoenix Convention Center is thick with that idea, from both veteran teachers and administrators, along with new teachers. Everyone in this large, passionate group seems to exude a joyful intellectualism about being a part of a great school, about teaching children a subject they love, about learning continuously, and about sharing ideas – not just this week, but going forward. That makes for a quite exciting summer gathering as our communities look forward to the 2018-19 academic year. 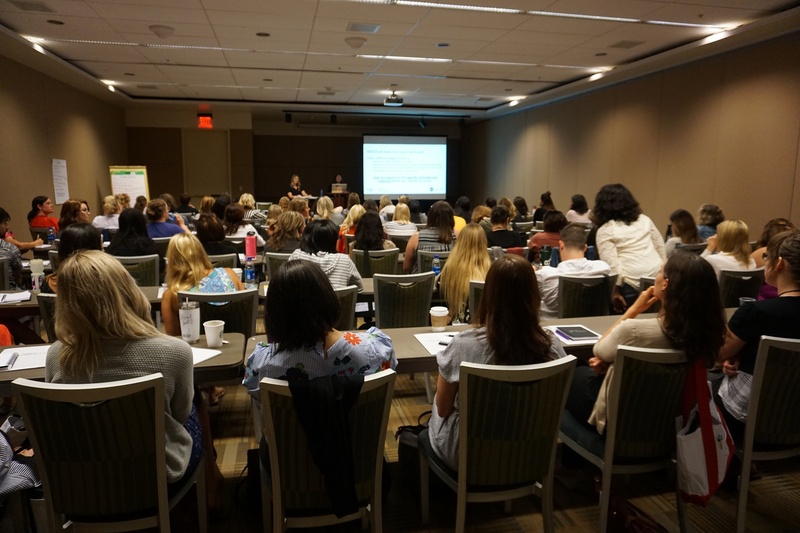 Stay tuned to our blog and Facebook page for further updates from the BASIS Curriculum Schools 2018 Summer Institute!